The AE2 submarine had no deck gun. Lt. Commander H. Stoker wrote in his book "Straws in the wind" as "AE2 carried no gun - at that date no British submarine was fitted with a gun." and also "We longed for a gun to enable us to remain on the surface and give them [the Turks] fight." The captain of the AE2 submarine, Captain Henry Hugh Gordon Dacre Stoker was an Irish originated Endlish officer. 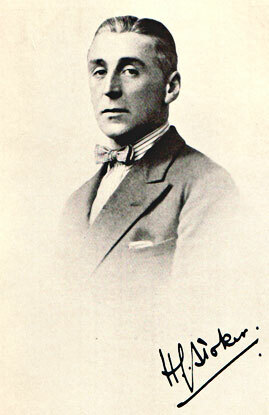 He was also a close relative of the famous novel "Dracula" s writer Beam Stoker. 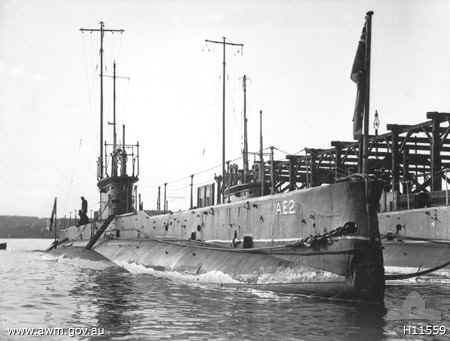 AE2 submarine, the second submarine of Australian Navy, completed in 28th February 1914. After she was completed, she meeted with AE1 submarine and while escorting a group of English and Australian ships, she reached Sydney in May 1914. 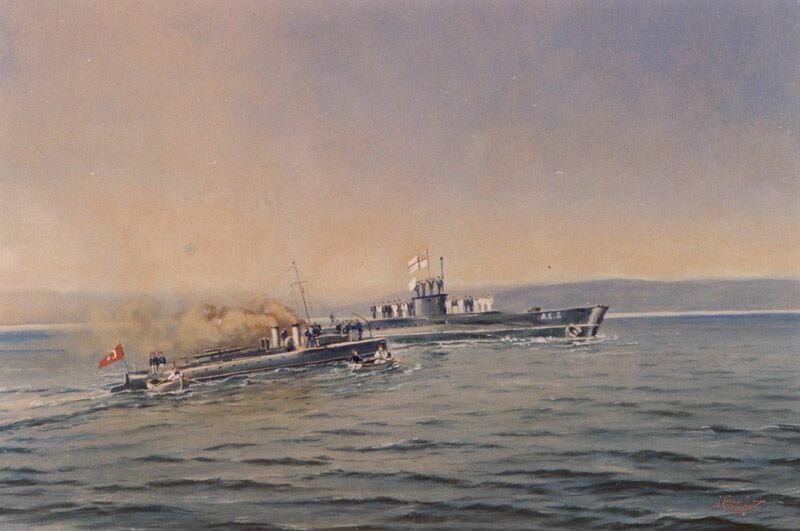 After the war began, both AE1 and AE2 submarines went to New Ginea to fight against German colonies. In November she were sent to Sydney again. After a while she was sent to Dardanelles and started her missions there. Although allied forces did not believe that it was possible to pass the straits, they decided to give a chance to the AE2 submarine. 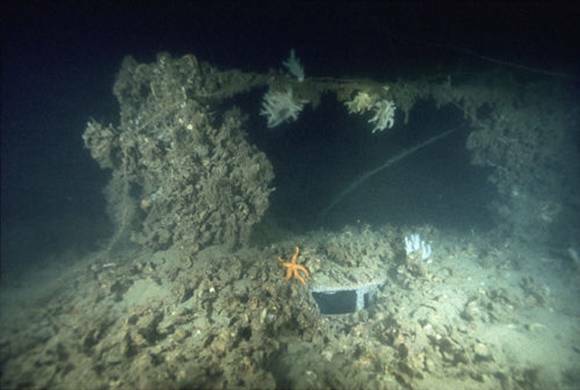 The captain Stoker's plan was to go to the mine lines surfaced in the night without being noticed and submerge there. At the places he found to be safe he would surface and check the route and continue submerged again. In his first try he couldn't even dive because of a malfunction. He was forced to return back. 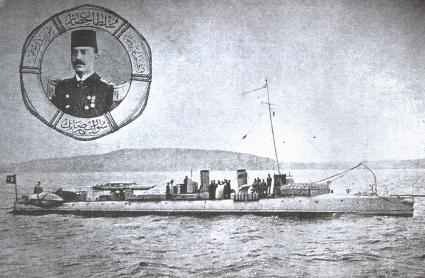 In 25th April 1915, AE2 submarine has been ordered to penetrate through the straits of Dardanelles to Sea of Marmara for the second time. In the midnight at 2:30 am she sunked the ship "Peyk-i-sevket" by a torpedo. She passed through Canakkale while she was being followed by Turkish surface vessels. She ran aground just in front of the coast guns two times while trying to pass the straits. Luckily, she was too close that the guns couldn't aimed that close. 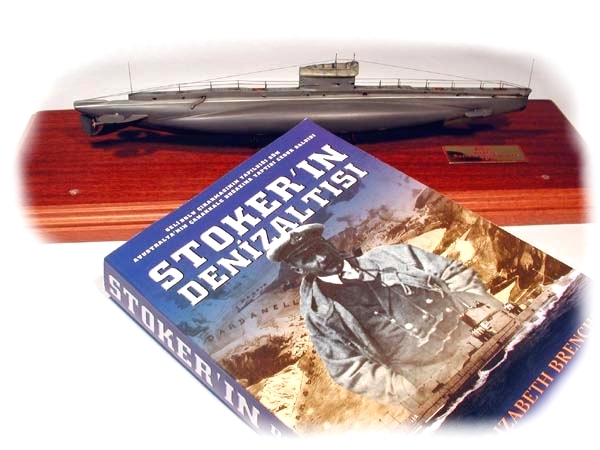 The AE2 SUbmarine's penetrating story to Sea of Marmara as written in the H. Stoker's Book. Making the surface vessels lost her track, She reached the Sea of Marmara in 26th April. The ships mission was to cut the supply lines of the Turkish army. The penetration of this submarine encouraged the allies who were thinking to leave the Dardanelles. Because of this, the war continued much more and aprroximately half million people has been lost. After she reached sea of Marmara, she tried to sink different navy ships for four days but she couldn't. In 29th April she meeted with E14 submarine. They agreed to meet next day. AE2 submarine never make it to the meeting point. In 30th April she surfaced. When she saw The Turkish cruiser Sultan Hisar, she tried to dive but when they couldn't set the trims correctly she surfaced again. 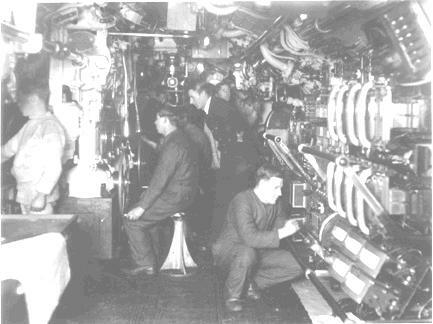 Sultan Hisar hit the AE2 submarine from her machine room by a torpedo. The crew had nothing to do but to leave the submarine. The captain of AE2, Henry Stroker, ordered to open all hatches and in order not to give her ship willingly, he sunked her. After that he and his crew get on to a rescue boat sent by the captain of Sultan Hisar, Ali Riza Bey. 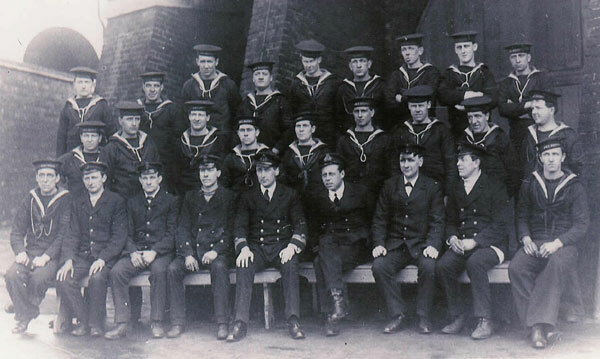 All of the crew were rescued and held as war captives in Afyon till the war ended in 1918. After some time in Afyon he and another officer called Fitz were sent to Istanbul in order to be held in a dark small room because the Turkish prisoners in Egypt were being used to face very bad attitude. After things arranged with English goverment, they were sent to Afyon again one months later. He and two of his companions tried to escape and they were caught near the Aegean sea. They were sent to Istanbul prison. After sometime Stoker was sent to Yozgat prison which was more secure. He tried to escape once here and caught without getting out. In some sources it is said that he was caught in woman disguise in Izmir trying to escape but it isn't true. He tried acting in the Yozgat prison. The navy didn't gave him any awards after the war. After returning to England, he was assigned as the captain of a K class Submarine but he said he wanted to be assigned in a ship not a sub. So navy took him to the waiting list. In this time he started working as an actor. Navy who didn't like the way of this immediately gave him a ship. But in order to continue his guarrantied carrier in the navy, he reassigned and worked as an actor. Stoker was recalled to duty during World War II but went back to the stage at war’s end. In 1966, aged 77, he became Irish croquet champion. The man who made the first successful submerged passage of the Dardanelles into the Sea of Marmara in war in a submarine died in 1966. Lt. Commander H. Stoker wrote a book called "Straws in the Wind" about these events. 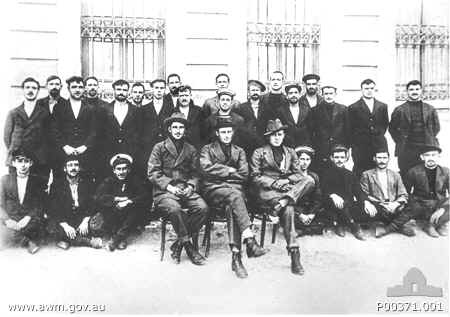 The crew of AE2 was held as captives in Afyon till the war ended. Even some sources say that the penetration of AE2 to the sea of marmara caused the war not to finish earlier, there is nothing to proof this. While trying to find the lost submarine the researchers realize that four different sources (Turkish, Austarlian, English and German) states the place of the submarine 10 miles away from each other. 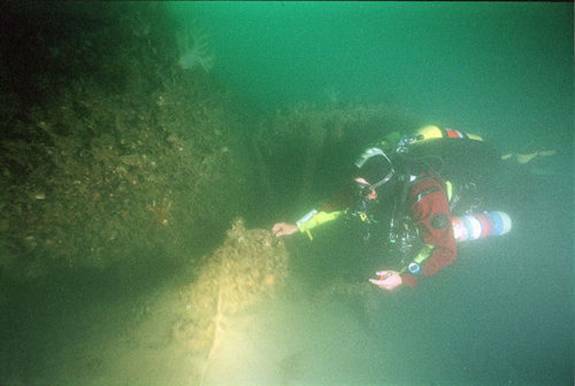 In order to find the correct place, the researchers contacted Primrose Stoker aged 80, who was the only living relative of captain Stoker. Miss Primrose gaved them the diaries, notes, escape plans of captain Stoker. 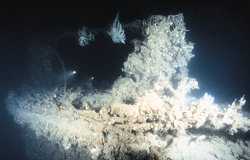 Depending on the information on all these, they choosed the region to be searched and by a side scan sonnar and proton magnetometer they found the wreck. Selcuk Kolay , discovered the place of AE2 submarine in 4 miles north of Karaburun in Karabiga in sea of Marmara in June 1998. After the dives, they sawed that the AE2 was still in a very good condition. The salvation of AE2 is very important for the museums. 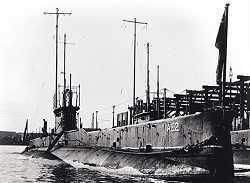 If she will be salvaged and showed in a museum, she will be the only submarine who played a role in World War I and being showed in a museum. 600.000 dollars is needed to salvage the submarine that is lying in the sand in 72 meters. The water have a 3 meters visibility in the place AE2 found. The ship still lies same as the day she sunk. 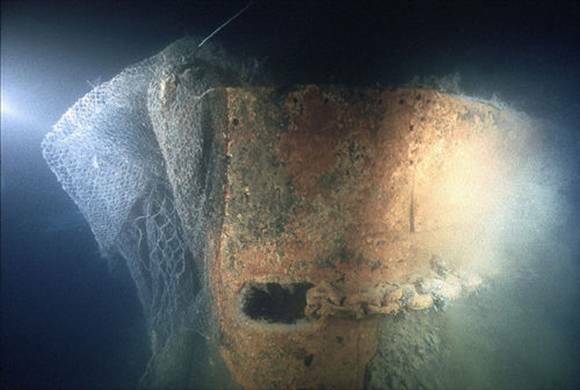 She lies in 72 meters in the depths of sea of Marmara, 4 miles north of Karaburun. The watching tower can be seen easily. She lyes in mud but the back of the submarine is a little upwards, so it is easy to see the port and starboard propellers. There are holes in the main body that could be bullet holes. The rudder is in a slightly starboard direction. The barriers of the watching tower and the light pillar in the back are lying turned down. Except this thw bow and the tower are all covered with fishing nets. And the main hatch is still open since the day Stoker left it open. You can find the photos of the AE2 submarine model in the site of Ozkan Turker. Each three bladed propeller weighs 360 kgs. The main hatch is still open since Stoker left it open. Source: First In, Last Out. The Navy at Gallipoli by L. A. Frame & G. J. Swinden. Kangaroo Press, 1990. These four documents concern the official reporting and acceptance of the loss of the AE2. The first is a request from the Navy Office in Australia to the British Admiralty Office in London asking for confirmation of a press report of the sinking and the next two documents are from the Admiralty. The fourth document was sent to the Navy Office from the Australian High Commission in London after the situation of the AE2’s last voyage had become a bit clearer. 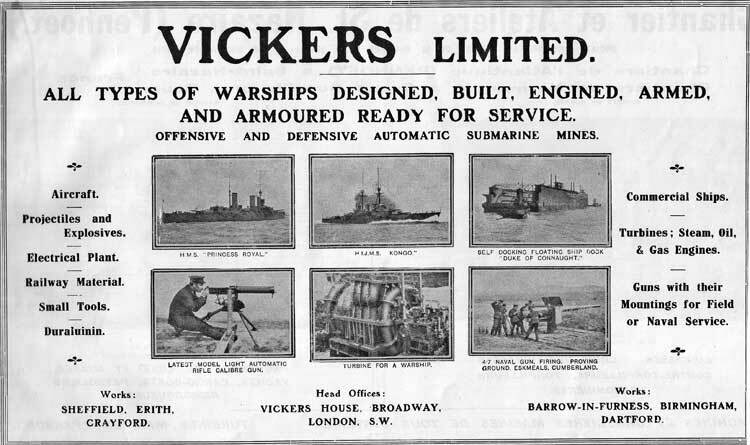 The last document in this series, which praises the commander of the AE2 and its crew, was written in 1916 well after the end of the Gallipoli campaign by Admiral John de Roebeck who had been the commander of British naval forces at the Dardanelles. 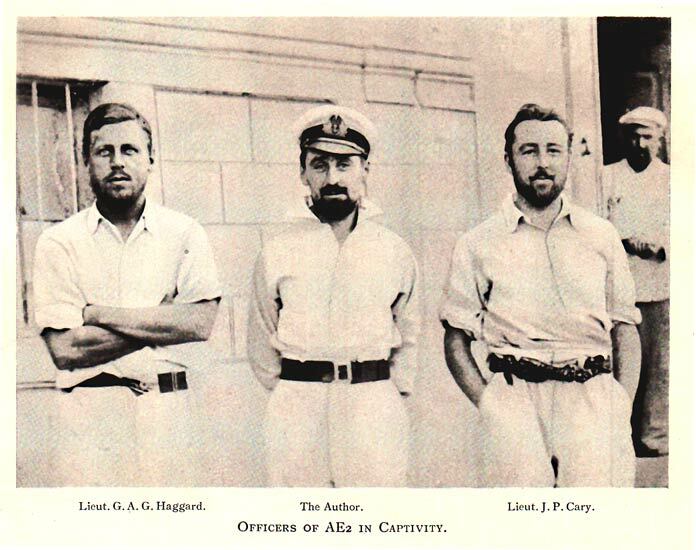 Report from Lieutenant Commander Henry Stoker written in 1919 concerning his alleged ill-treatment, while a prisoner of war between 1915 and 1918 in Turkey, at the hands of a particular Turkish officer named Djavad Bey. Lieutenant Commander Henry Stoker’s original report of the AE2’s passage of the Dardanelles on 25 April 1915. It was written on 9 January 1919 well after Stoker’s release from prison camp in Turkey.